A vegetable in the Asparagaceae family, green asparagus is normally seen in grocery stores throughout the year. Usually harvested in late winter through spring, the shoots of this perennial plant are often found in side dishes, stir fries, and even as toppings for baked potatoes. Green asparagus is more commonly found in the United States, while the other two varieties, purple and white, are more popular in Europe. 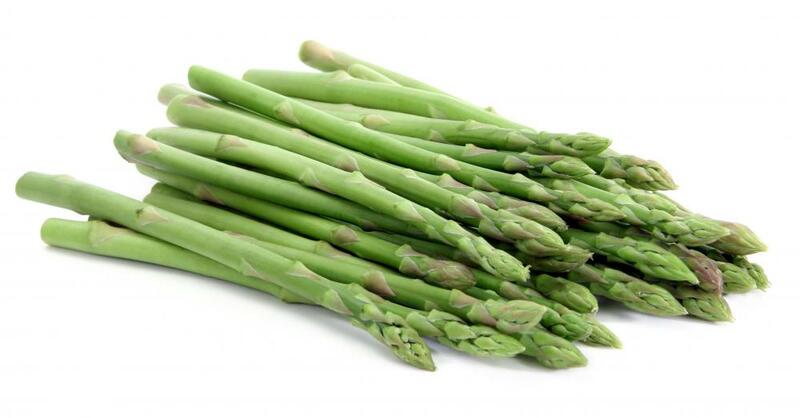 The scientific name for green asparagus is Asparagus officinalis. Fresh green asparagus is normally sold in bundles of spears. Usually 16 to 18 spears will be in a bunch, and each spear consists of a straight, tapered stalk that ends in a pointed, leafy tip. The small, tightly bunched leaves on the tip resemble scales, as do the flat, slightly larger, triangular leaves that occur at intervals along the stalk. Generally the tip of an asparagus stalk has a darker green coloring than the base. Stalks vary in width. Exceptionally thick stalks may have a girth nearly equal to a child's marker, whereas exceptionally thin stalks may be slightly narrower than a pencil. The average green asparagus spear is somewhere in between, however. Commercially sold spears vary little in length since they are cut fairly uniformly: approximately six inches (15.24 cm). Normally it is only young green asparagus that is found for sale. Good fresh asparagus will have dark, straight tips with little to no drooping. The leaflets should be firmly held against the stalk, rather than pulling away. Green asparagus is also sold in cans or jars. Although fresh asparagus usually remains crisp even after being cooked, canned asparagus is softer. The taste between canned and fresh asparagus also differs. In fact, many people who have a taste for one do not care for the other. When cooking with fresh asparagus, the bottom ends need to be trimmed. The bottoms are hard and woody so are not suitable for eating. In order to determine the exact place the stalks start to become hard, the bottom half of the spear is bent by hand. It will break naturally at the woody part. After one or two stalks have been broken by hand, the rest can be trimmed with a knife at approximately the same point. 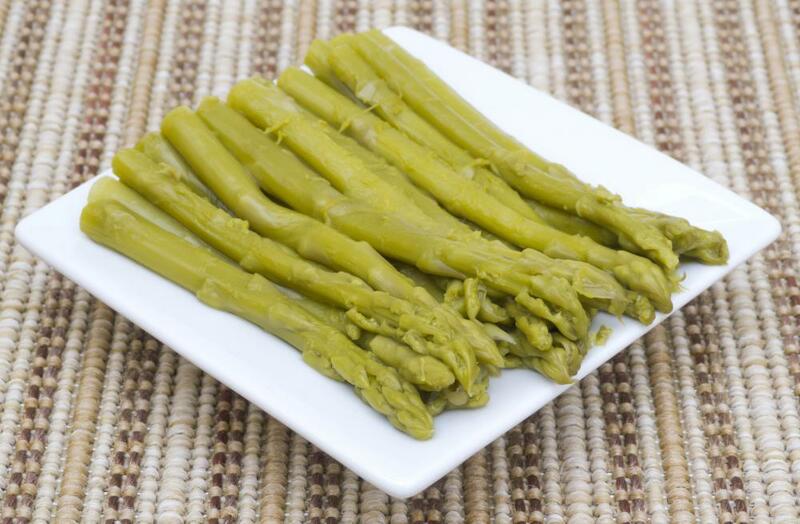 Green asparagus can be cooked almost any way, from blanching to grilling, baking to microwaving. Whole spears can be served as a side on their own or as part of a more complex dish. Chopped spears are often found in stir fries or toppings for other dishes. What Are the Different Ways to Cook Asparagus?